In the United States, Labor Day is celebrated on the first Monday of September, and it is typically the end of summer. However, in most other countries, May 1 is the traditional day to recognize the importance of labor movements throughout history. 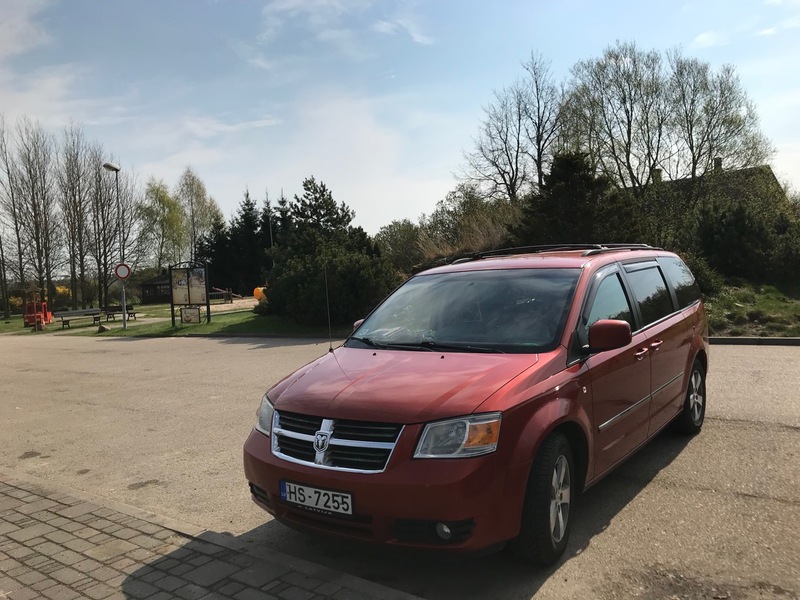 In Latvia, Rita, Anna and I had Monday and Tuesday off for Labor Day giving us a four day weekend, so we went on a good, old-fashioned road trip (thank you to Ansis and Monta for the use of their minivan!). 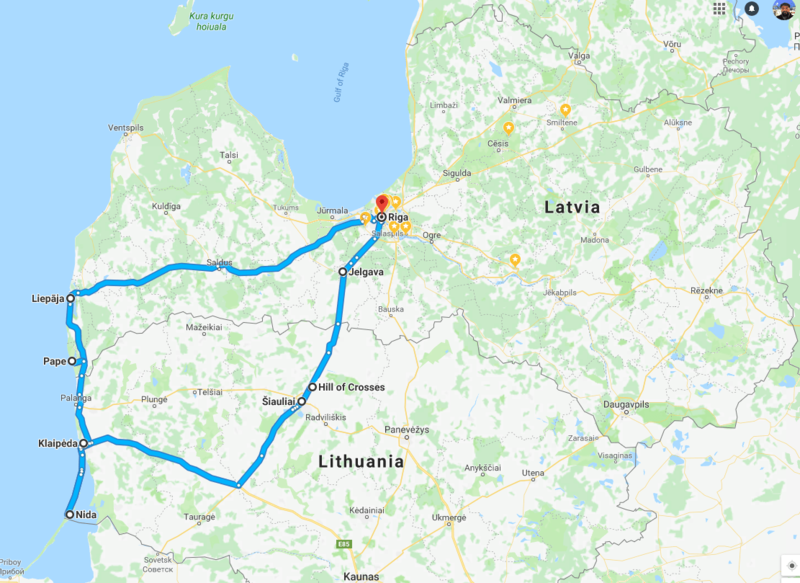 One of the great adventures of driving across Latvia is that the highways are a lottery. You will drive along a smooth, nice road for a few kilometers, and then, bumpity bump bump! You hit a patch that looks as if it were hardly a road at all. And the drivers are all a little bit insane. 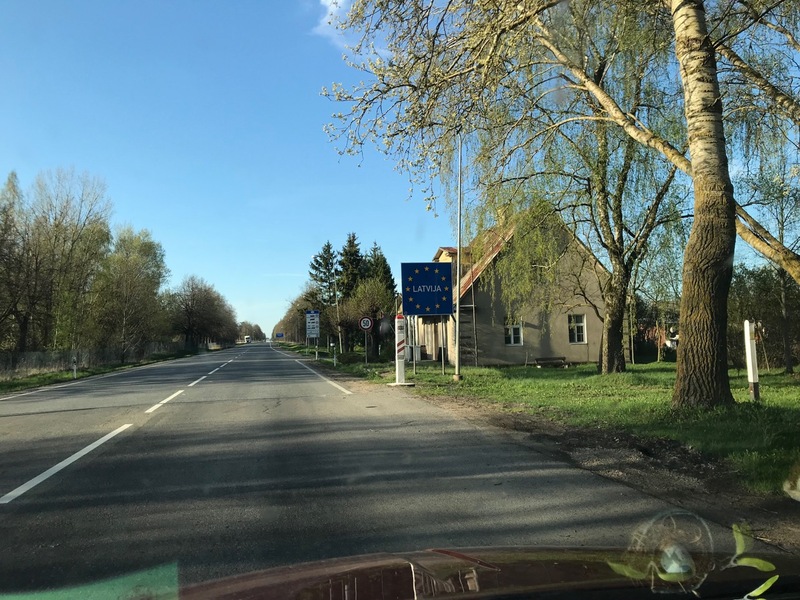 My running theory is that Latvians do not give an F. I was driving mostly the speed limit, using Waze to guide me through speed traps and such, then people would zoom up behind me and pass on single-lane, curving roads with lories right in front of them. You just never know! We made our way across the country toward the seaside. I had always want to see the actual Baltic Sea. Here, we only see the Gulf of Riga. Liepāja is the place to go! Latvians say that the wind begins there. 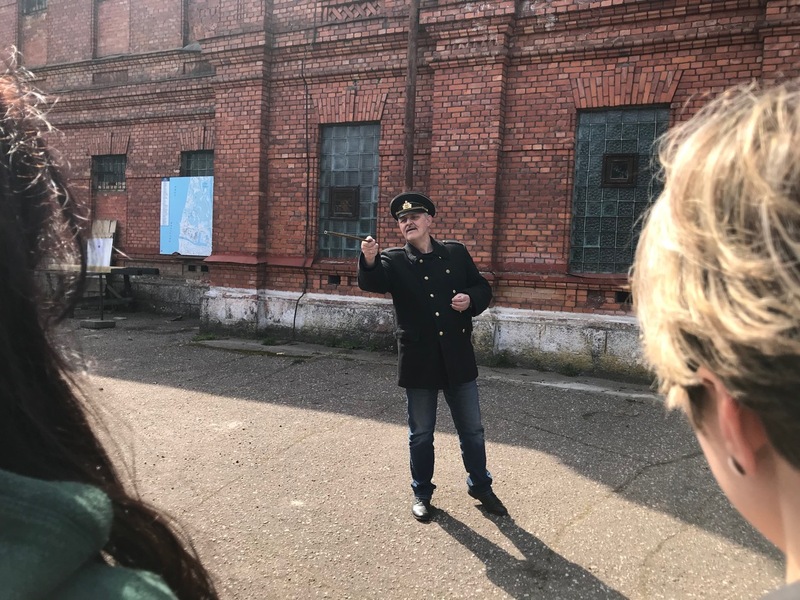 Our first stop just north of Liepāja was the Karosta prison where Soviet naval officers learned the meaning of discipline if they messed up at some point in their careers. The prison is fairly famous because you can pay to spend the night there and be treated as a prisoner by people playing guards. We checked, but it was not warm enough to spend the night. Our tour guide was a Latvian gentlemen dressed in an officer’s outfit. He was funny, knowledgable, and he knew where Nebraska was. It is kind of famous in Latvia because Karlis Ulmanis, one of the the presidents of Latvia, went to UNL. 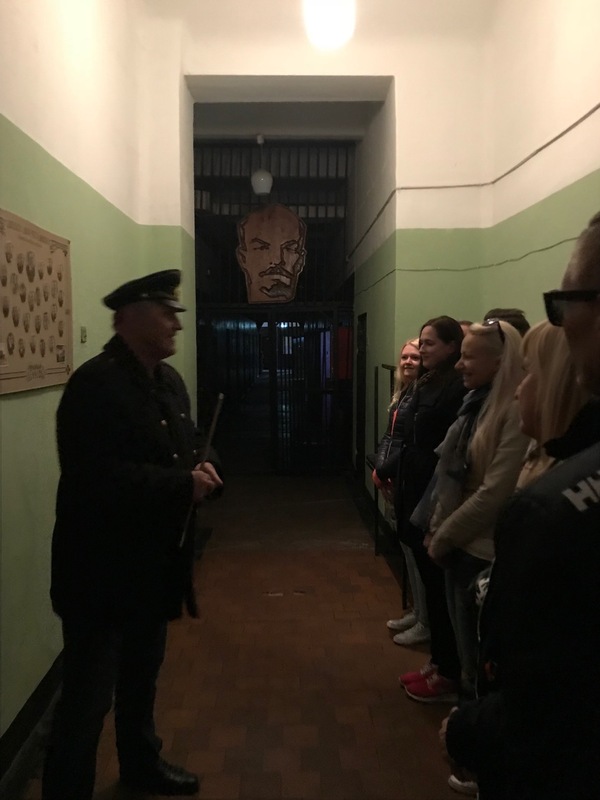 The prison holds all kinds of German, Soviet and even American artifacts from the old days. At one point, he shut some of us up in a room to show us how spacious and generous the accommodations were. I asked him about toilet paper when he showed us the bathrooms. He got a kick out of my question by showing us his finger. He referred to the prisoner’s bathroom time as “going to heaven” and they got to do it twice a day. I cannot imagine only being able to go to the bathroom twice a day. My favorite part was the solitary confinement room. He shut the door on me, and I stood in total darkness for all of thirty seconds. I could imagine how completely insane a person would be after spending a day there. Makes you wonder how we can treat human being as bad (or in some cases worse) than animals. Another incredible sight to see near Liepāja is the Northern Fort complex. I had read about it prior to visiting, but seeing it is really the only way to fully appreciate this place. 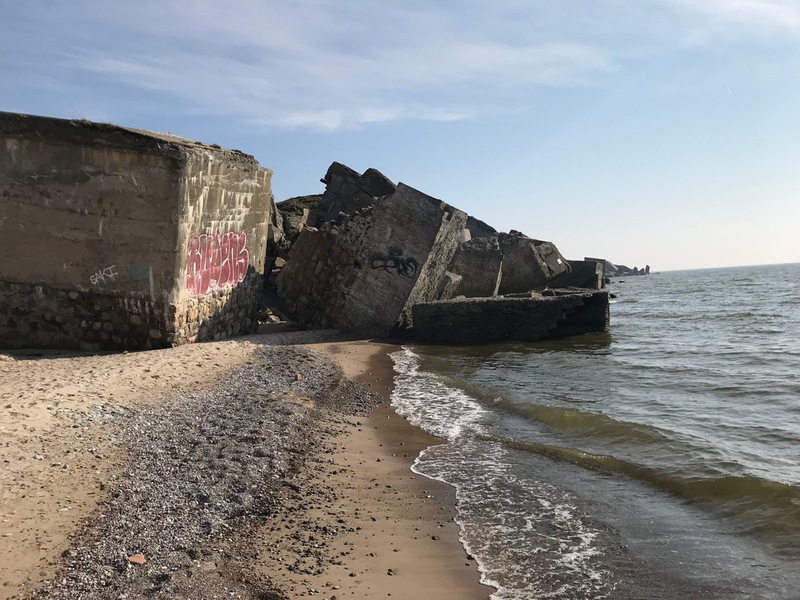 At some point back in the late 1800s, the Russian Tsars decided to fortify the coast north of Liepāja against possible attacks. 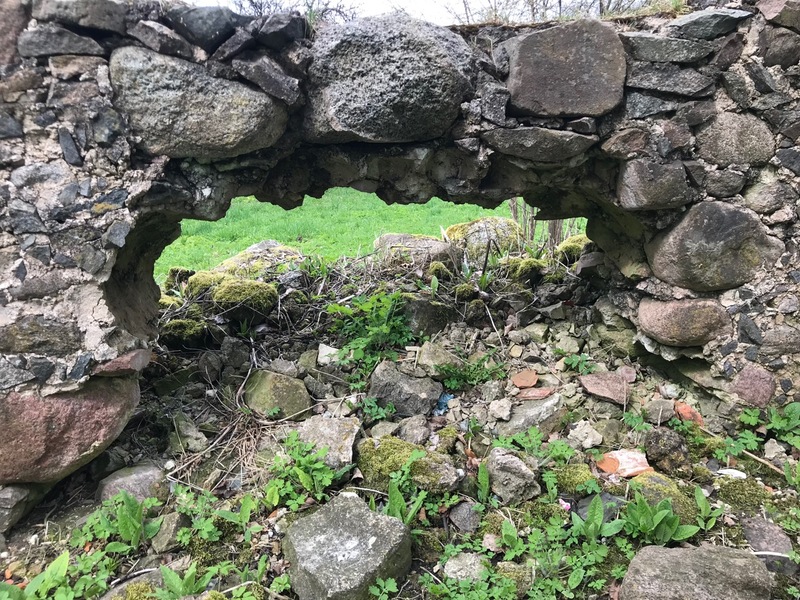 They soon abandoned the forts, and may have even used explosives to destroy some of them. The waves have done the rest, and now these stone monuments stand as a memory of a forgotten time. The beach is covered with giant concrete monoliths. We all climbed up and around them for a few hours. It was magical. I was happy to feel healthy and find a place to rock climb again. I didn’t realize how much I missed the feel of pulling myself up and routing through obstacles until I actually had a chance to try it again. One little goal I have now is to find some rock climbing here in Riga! 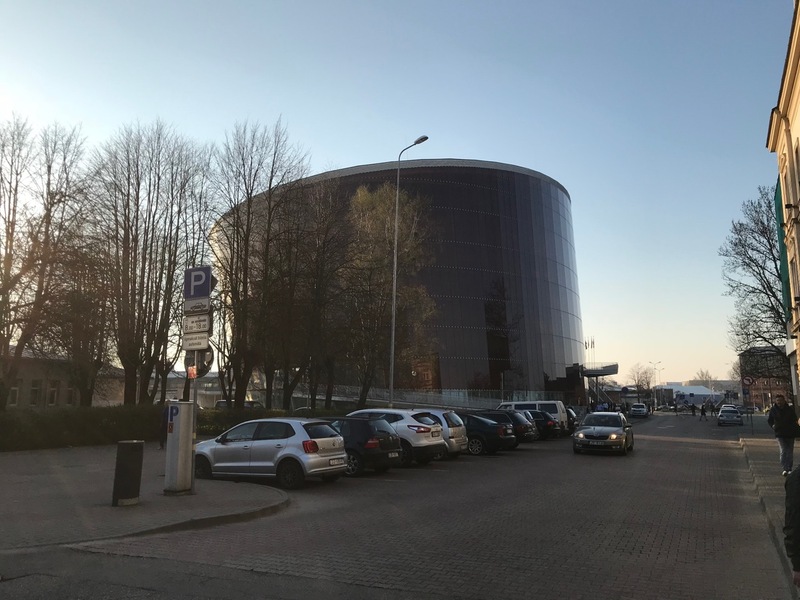 This leg of the journey ended at our hotel in downtown Liepāja. Rita and I walked to the Amber Hall and had a wonderful dinner at the Piano Bar watching the sunset and just relaxing after a long, eventful day. The Amber Hall is a figurative and literal jewel of Latvian architecture. Luckily, a concert had just ended and the guard let us go in to look around. 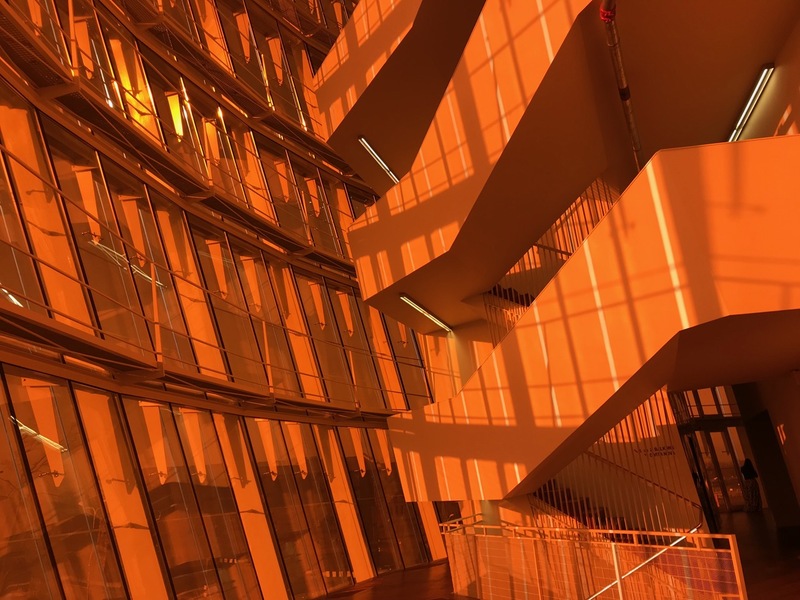 The amber-colored glass of the interior makes for a lovely light. I also got to ride on the tram in Liepāja. I now have done trams in 3 Latvian cities. I am trammaster J. The next day, we drove down the coast of Latvia toward an old fishing village called Pape. Rita had always wanted to see the nearby nature park with oxen and horses, but she called, and they were not open for the season yet. They opened on May 1, and it was only April 30th. But we drove to the seaside again and walked along the beach collecting rocks and sea glass. It was another gorgeous spring day. 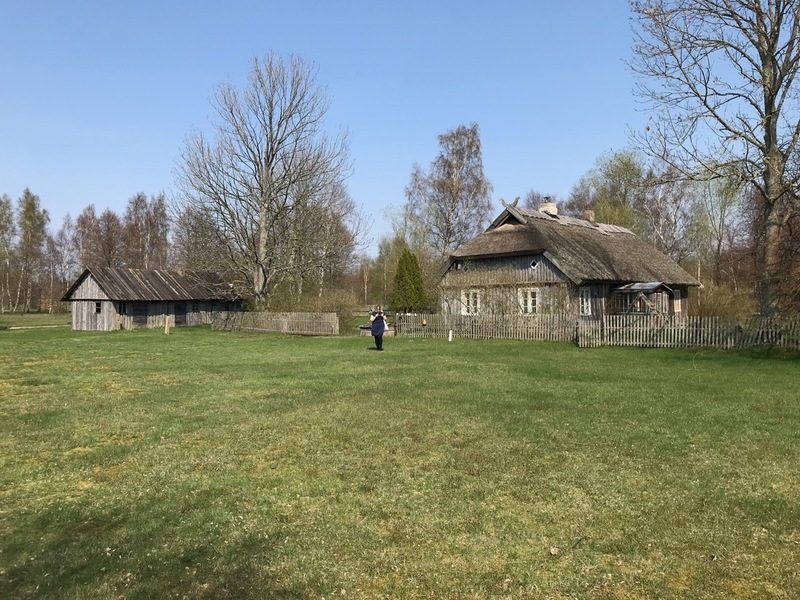 The little historical fishing village was also not open for the season, but we walked around it anyway seeing the old building. Anna told a story of a magical fish and how it got fed to a cat. It was lovely. Most of Pape seems to be for sale and Lithuanians are the new owners. It seems that they are invading Latvia through legal and financial means. 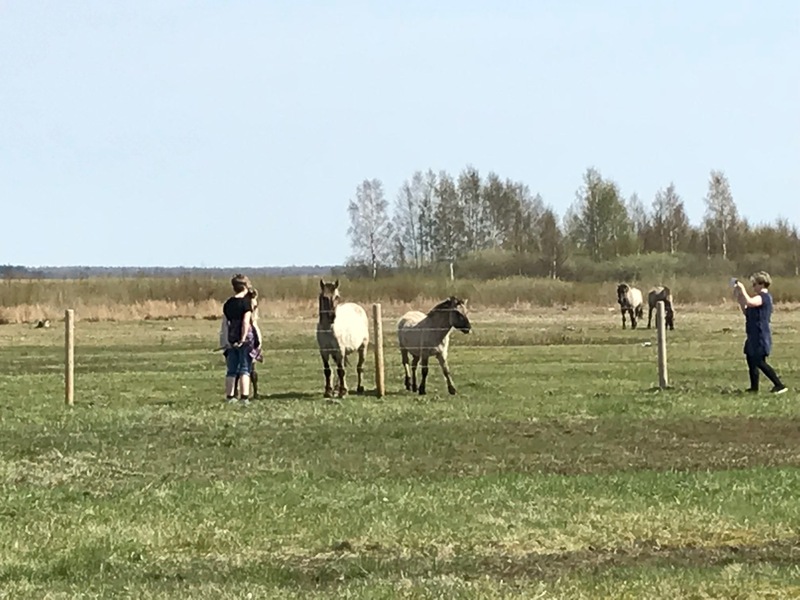 As we drove along a dirt road sightseeing, we spied some wild horses. Rita made the most of it and got some wonderful photos of these woolly equines. Then we found ourselves in Klaipeda where we had a long stop at Bukowski Bar. Anna and I had two of the biggest hot dog creations I have ever seen, and the food was terrific. We walked the streets of the city. It is about the size of Lincoln, and seems like a very nice, modern city. One thing I was told you notice about the difference between Lithuania and Latvia is that the roads are better. I would guess it is comparable to Nebraska and Iowa. You go from one state with a smaller population and more land to another with a larger population, and naturally the infrastructure is a little better. But that doesn’t mean I would ever want to live there! 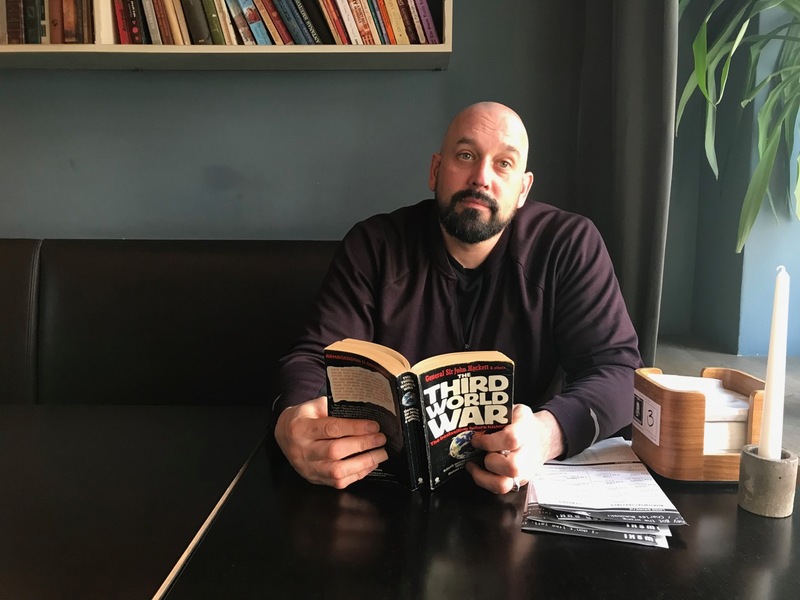 (Iowa or Lithuania… no offense). 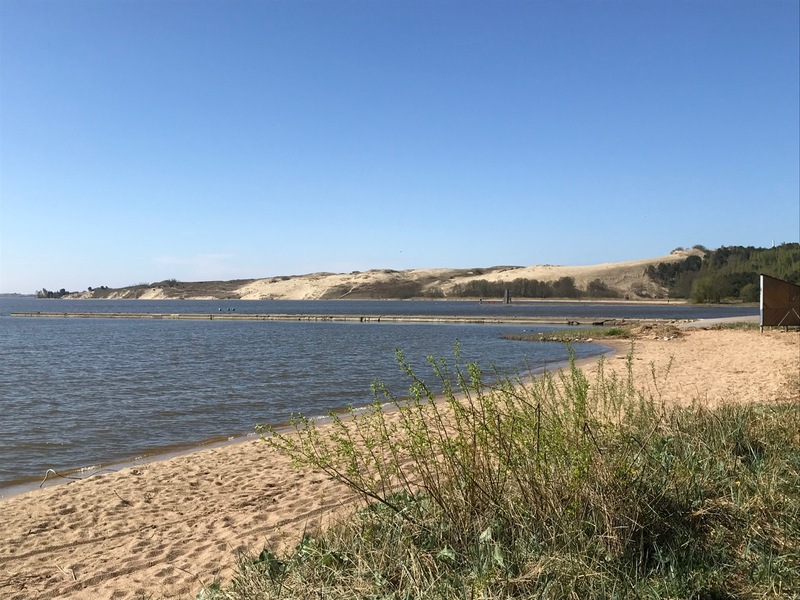 Luckily, the bar was fairly close to the ferry that we had to take to get to the Curonian Spit, a tiny strip of land that goes all the way from Lithuania to mainland Europe but you have to stop about halfway down because Russia owns the lower half. Rita tells me that the original inhabitants were Latvians, but the Lithuanians own it now. Someday… someday. I had never driven a car onto a ferry before. It only took three tries to find the right dock, and the trip only cost 12 Euros. We exited in a very logical manner, and I drove down the only highway on the spit. It was getting dark, and the landscape in the long shadows of evening was gorgeous. We had planned to stop at a place called Hill of Witches which has lots of wooden carvings, but by the time we got there, it was too late, and the mosquitos had taken over. We decided to just keep driving. And now we still have a reason to go back. For a tiny strip of land, the drive seemed to take longer than it should have, but we found Nida just as it was getting dark. Have I mentioned that the evenings seem to linger forever this far north at this time of year? I keep getting fooled into thinking it isn’t as late is it is. 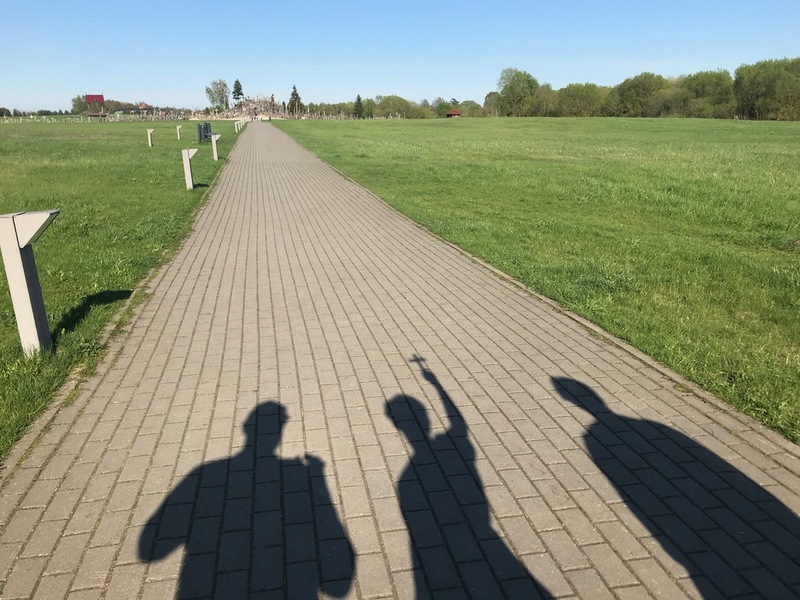 Shadows are different as well. Even in the middle of the day, they are longer than they should be. Of course, I am the only one who notices. Nida is a lovely resort town at the very bottom of the Lithuanian Spit. Its claim to fame is that Nobel Prize winning author, Thomas Mann, had a house there. The house is now a little museum at the top of a hill. Our hotel was run by a nice man named Arturis, I think. He told me the history of the hotel as best he could. From what I understand, a French queen stayed there and helped to found the hotel. Lithuania has an insane history. Klaipeda was once the capital of Prussia. It has been ruled by more countries than I can name, with different parts being influenced by all these different groups at one time or another. When Rita and I visited the Nida cemetery, we saw lots of German graves that suspiciously were dated 1939. I have no idea what it means, but it was weird. After a lovely dinner at a nearby cafe, Rita, Anna and I watched the lightning on the horizon for about an hour before we finally went to bed. The storm never seemed to hit the island. It just moved parallel in the distance on the sea. The next day was another amazing spring day. When I checked the weather for the trip, May 1 was supposed to be cold and rainy, but someone forgot to tell Lithuania. We went for breakfast and then ended up walking all the way to the famous sand dune, Parnidis Dune. Rita had always said this was one of the places she had always dreamed to go, and now I saw why. The dune stretches about 150 feet above the sea, and to get to the top, you climb this wonderful wooden staircase. The view from the top is spectacular. I could literally see Russia! Take that Sarah Pailin! We tromped around the dune in bare feet, which is legal according to Latvian custom after the first thunderstorm. At the top of the dune there is a tall sundial with intricate astronomical carvings and runes. Again, it looked like something out of a fairytale or story book. I even got to sit on the throne on the beach. It was just incredible. Unfortunately, all trips must come to an end, so we packed up our things and started driving back to the ferry. Along the way, we bought some of this incredible syrup that you mix with soda water to make delicious mixtures. We also picked up two Lithuanian hitchhikers. They were cool. The way back to Latvia led us straight to another incredible site, the Hill of Crosses. Rita had told me of this place, and I thought, “another roadside attraction.” I had no idea what I was in for. We arrived, and you can’t really see the hill from the road, so I thought we would take a quick look and then jump back in the van. I am always nervous about getting home and parking. I have scars from parking in Latvia. We parked at newly developed visitor center where we got some coffee and Anna bought a little cross at a market with tons of religious iconography. I wasn’t sure what this was all about, but as we left the visitor center and walked closer to this holy site, I began to be overcome with this sense of awe. 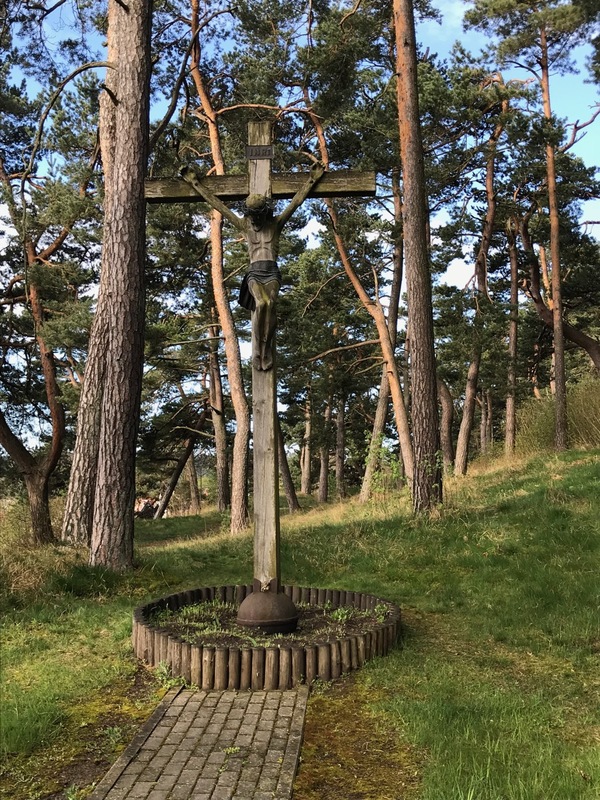 The booklet said that two popes had visited here, and that there were now over 200,000 crosses planted on this single hill. You can read the number “200,000” a few times and think, “Boy, that sounds like a lot.” But no amount of reading will prepare you for the the actual experience of witnessing that many crosses placed in a small space. It was inspirational. There are giant crosses covered in medium-sized crosses, covered again in smaller crosses. The whole thing is cross upon cross upon cross. You cannot believe how many people have visited this place and planted their own crosses. Some are labeled with obscure groups like “Slovakian air troops” and there is even a Jewish Star of David. Lithuanians traveled here during the Soviet occupation and risked getting into trouble by putting up their crosses. This kind of devotion made even the lamest Christian (me) get a little verklempt. If you ever get to Lithuania and you are interested in this sort of thing, I would put this on my list as a “must see!” I don’t think I have seen anything like it… maybe the Grotto of the Redemption in Iowa… but this hill represents hundreds of thousands of pilgrims. There is something beautiful about that. I have to give Lithuania credit. The spit and the hill were amazing, but the rest of Lithuania felt a lot like driving across Nebraska. It was almost oddly familiar with its rolling hills and flat, treeless cropland. I was happy to be back in Latvia with its unpredictable roads and forested landscape. The untamed spirit of Latvia feels a bit more at home to me! I cannot wait to go on another adventure! There is nothing quite like a road trip to start the spring! I almost forgot about the abandoned school we found in the city of Rudbārži⁩ (Red Beard). We took a little diversion off the highway. I saw a hill that looked cool, and sometimes you just do things on a whim. So we stopped in the town by this large manor house. Rita spoke to a local and found out that it was a renovated school that had shut down recently due to a lack of students. It had a lovely yard with a track, playground, and beautiful landscape. I thought it was a shame for it to not be operational. 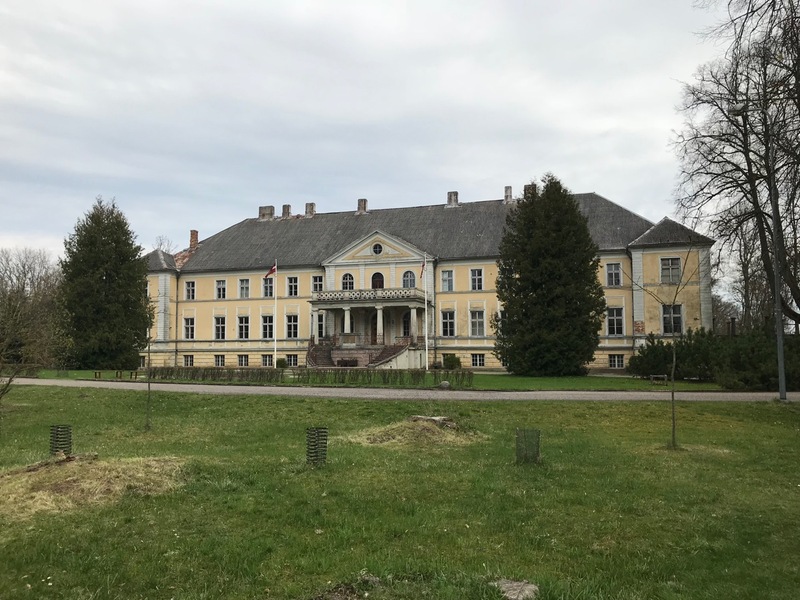 As Latvia, and many other countries, deal with aging populations and a lack of growth, I think how sad it is to see all of these towns losing their schools, and losing people. What can you do? Probably not much. It reminds me a lot of the situation in Nebraska from one small town to the other. I felt like I was in a fairytale much of the time, and this place started off the whole trip on that kind of note. 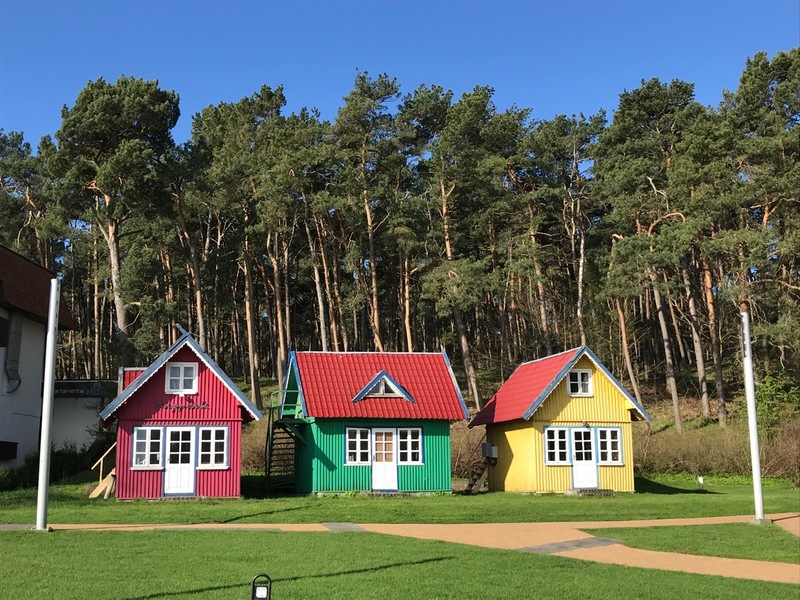 Latvia (and Lithuania) are magical places where people have lived for thousands of years. There are old stories here, and I swear, a certain magic! 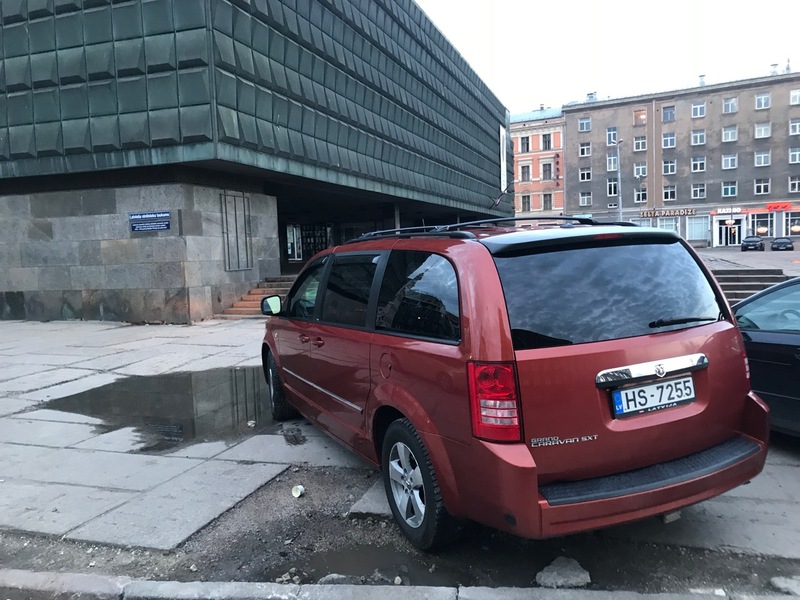 Here is my parking job back in Riga and a video of the mosquitos. Enjoy!